No route found for "GET /generator/data/sitemap.html"
I have follow the instruction at "howto-install.pdf" eBook i'm very sure I have correctly setup PHP sitemap generator script but for some reason crawling my forums takes seconds with empty sitemap.xml file when I click the generated HTML SiteMap url link I get below message. The urllist.txt file also empty. Can I get some help please thank you! 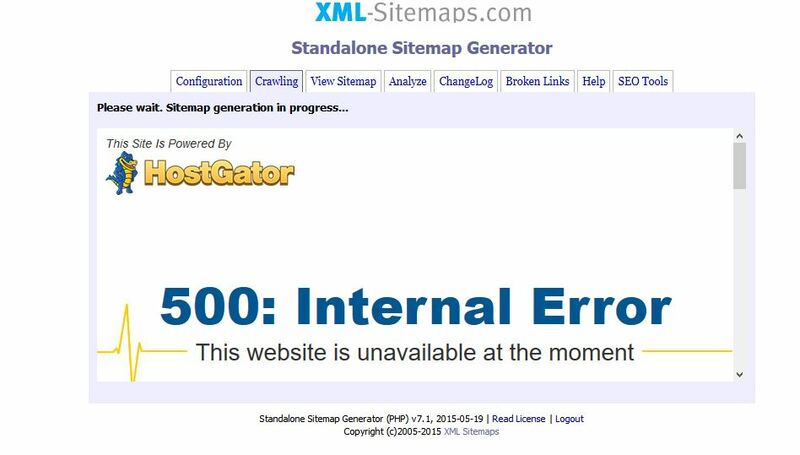 Re: No route found for "GET /generator/data/sitemap.html"
I have just notice when I click Sent Message link to any one of my members I get below error which was not there before. I'm not sure but i think i have corrected first issue my forums been now crawled for around 10 minutes i will report back the result. I'm still getting "500: Internal Error" when i try to sen private message to members can i get help with this issue please. I have repaired "500: Internal Error" i change the ucp.php file permission to 644 and purged the cache. I must say the i have no idea how ucp.php file permission changed my forums did not have "500: Internal Error" before. Can someone explain this error and how to resolve it please, i have correct permissions set but crawler still given me below error and stop crawling. I have check most recent errors for my site and there are non i have resolve all errors but crawler still given me below error. For now everything working i had to change and add few things i will list them below for others who will have my issues. For "500: Internal Error" i change the ucp.php file permission to 644 and purged the cache. By the way my site running phpBB software. I also have to change Http:// to Https:// as my forums using SSL Certification. Thank you for the follow-up, I'm glad it's working correctly now.